What electrical supply do I need for a steam room? 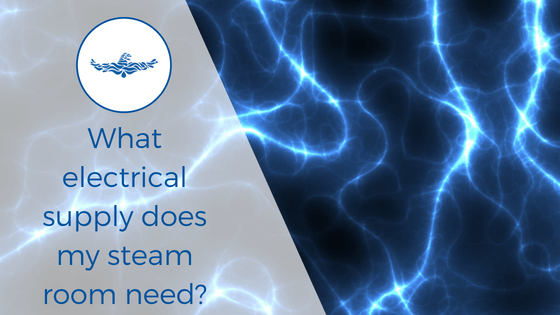 One thing you absolutely need before you install your steam room is an electrical supply. The steam generator requires a power supply to heat the water in order to create the steam. Your standard 13AMP plug socket isn’t going to cut it for a steam room, unless it’s very small. So, most likely you will need to get a dedicated cable run. 1. What power supply is required? 2. When you should install the electrical supply for your steam room? 3. Who should install your power supply? 4. How much does it cost to install a steam room electrical supply? What power supply do you need for a steam room? The reality is it depends. The size of your steam rooms that you decide to install will inform the size of steam generator that you in turn need to create enough heat and steam. And the size of steam generator will inform the size of cable and electrical supply that is needed. So, we strongly recommend that you speak to the team installing your steam room and confirm the size of your steam generator before organising the electrical supply. You can then work alongside them and your electrician to ensure the correct power supply is in place. But you wanted an exact number right? Not it depends. Most domestic steam rooms will use a 32AMP supply (single phase). But, again, it will depend on the size of the steam generator and the steam room. If you are using 3phase supply, this will also change. Sauna vs steam room. What is the difference? When do you install your power supply? Your power supply will need to be installed before the steam room installation takes place. This will ensure there are no delays to installation and once the steam rooms is complete it can be fully commissioned. But, of course, you will need to wait until after the initial consultation. We recommend waiting until after we have done the site visit. That way we can advise the best way to run the wire to allow optimal installation. Do we install your steamroom power supply? Although our engineer team consists of electricians, we do not install the electrical power supply to the steam room. You will need to hire a dedicated electrician to do this. Once we know what size os steam room you are installing we will advise you on what power supply you will need. And we will work with your electrician to make sure that the correct power supply is installed to help the steam room installation run smoothly. But as we have electricians on our team, we do the final connection for the lights and steam generator to fully commission the steam room. So all you really need before is a suitable power supply, floor with drainage and a water supply. 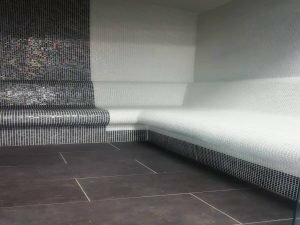 How much does an electrical installation for a steam room cost? As we don’t offer electrical supply, you will need to factor this into your steam rooms budget. So, how much will it cost? For you to have an electrical supply to your steam room, you will likely need to run a cable from the main board in your house to the space in your house the steam room will be. You are looking at approx. £35+VAT/hour for a qualified electrician. Plus any material costs. A fairly simple install would take about 4 hours. But the time it takes will depend on the factors below. So the cost for install could be anywhere between £180+VAT – £800+VAT on average. 1. Whether you use a proper qualified electrician (we always recommend you do this for both safety and regulation). 2. The distance from the board to the steam room. 3. The complexity of the install (eg. Can you go directly from the board to the steam room or does it involve going through loft spaces, or under floors, which it likely will have to, to hide the cabling). 4. Does a new breaker need installed? These factors will affect the overall cost. And will be discussed with your electrician on the initial site visit. Luckily our next door neighbours are certified electricians. So if you need someone to help you out with cable installation get in touch with Eastwood Electrical. Any problems with steam room electrical supply? As with all electrical installations there are a couple of things you will need to consider. In almost all cases they will be workable, but they may affect the cost of installation. Most domestic properties have a single phase supply. This usually supplies between 80 – 100AMP per house. This needs to supply all the electrical items in your home such as your showers, lights, cookers, televisions and hairdryers. Some homes and commercial properties may have a 3 phase supply which will triple the power supply available. It’s unlikely you will have all of all your electrical items, including your steam room on at one time. But you do need to be aware that your house has a limited electrical amperage. And if you overload this your house electricity will trip. It’s also important to note that even if you steam room does require a 32AMP supply it might not draw this full amount. A 6kw generator draws roughly 28MAP, but it’s not possible to install this. So although a 32AMP supply is installed, it will only draw around 28AMP. This will be fine for most houses. But, if you have an unusually high number of electrical items it is worth checking to ensure you have the capacity for installing a steam room. You don’t want your entire house to trip every time you turn it on. You’ll also want to consider how the cable will be run from the board to the steam room. And this might help you plan the location of your steam room if you aren’t sure. 1. The further the cable is from the main board, the weaker the voltage. This difference will be irrelevant in 90% of cases. But, if you have a huge house, and you are running the cable over 100 yards, then you may need to install a bigger cable. This will increase the installation cost both in distance and cable size. 2. 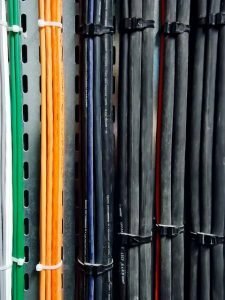 The further the cable, the increased chance for a complex installation. If there is a large distance from the board to steam room it is unlikely you will have a straightforward installation route. Plus, you don’t want the cable to be on show. So it might have to be routed through any available loft or underfloor space. 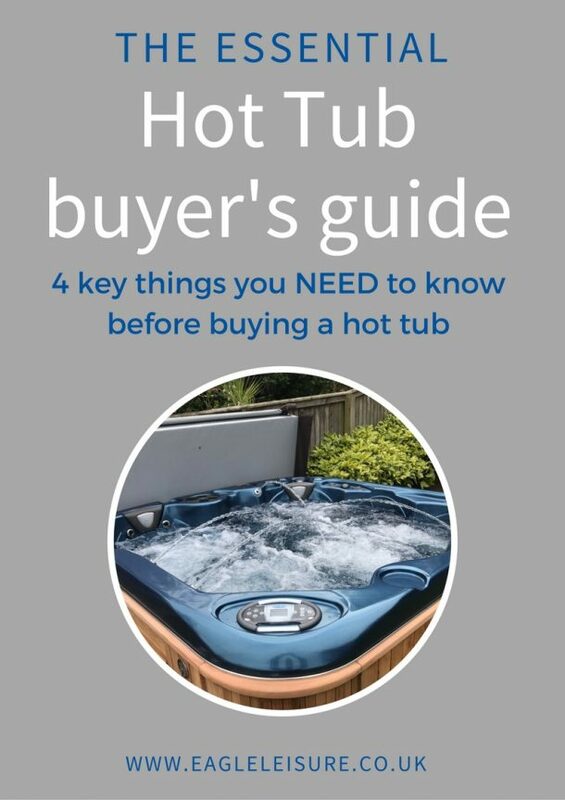 If you don’t have this space available, then the cable may need to be run from the board, outside the house, and back in through a suitable location for the steam room. Again, making the installation more expensive. 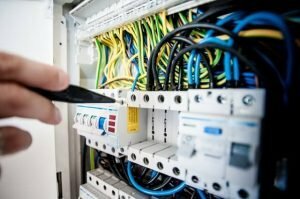 There is almost always a solution to these problems, but they are worth considering as it may make your electrical installation more expensive. I know. It’s annoying that we can’t tell you exactly what power supply you will need. But there is no one size fits all for steam room power supplies. It is unlikely that you will be using a standard plug-in 13 AMP. So the chances are you will have to run a power cable off the mains. For domestic steam rooms, it will likely be a 32 AMP (1 phase) supply. But, it will ultimately depend on the size of your steam room and generator. Firstly, decide what size of steam room you want/can fit in the space available. Then your supplier will be able to advise on what power supply you need to install to safely power your steam room. Sauna vs steam room. Which one is better for you? Steam room design. Where do I put my steam generator?